Buying a home is one of the biggest investments you’ll ever make. And dealing with the multiple processes – mortgages, pre-approval, finding the perfect home, the bidding and building / design process – can feel very overwhelming. To help ease some of the stress, we have rounded up 5 of our best tips for first-time homebuyers. Before you start looking for homes, make a list of everything that you need and want in a home. Knowing your top priorities will help you determine if you should buy a home from existing inventoryor custom build your own home. First, make an exhaustive list of features you could want in a home, like location, square footage, number of bedrooms / bathrooms, design features, open concept, and everything else you can think of. Then differentiate between the features you absolutely need (the must-haves) and features you want (the nice-to-haves). After you begin to tour homes in person, revisit your list and re-prioritize it based on what you are seeing in the market. If you’re not finding the home of your dreams in the market, building a home can make that dream a reality. By building a home, you get complete customization from the floorplan to the bathroom splash wall. Before beginning the home search, first-time home buyers need to make sure they have an adequate amount for a downpayment, have identified and resolved any credit issues, and have been pre-approved for a loan. Once you know your maximum price, it will make the process a lot easier, as you will able to narrow down your search and be more prepared to move forward quickly when you find your dream home. Now that you have both an idea of your needs and a set budget, you can begin searching for open houses within your parameters (price range, ZIP codes, and features). Then, once you have a list of houses you’d like to visit, you can work with a realtor or go on your own to open houses and private showings. Open houses give you the opportunity to evaluate properties in a way you can’t online. 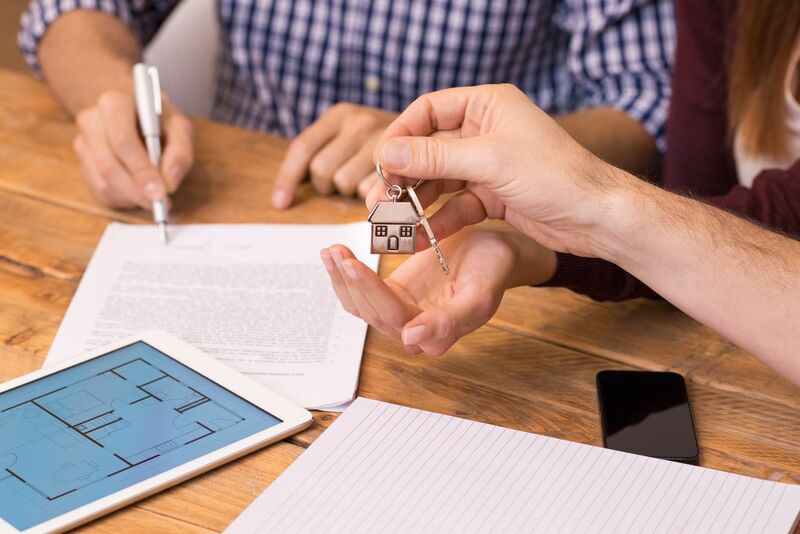 Purchasing a home is both an emotional and logical decision, and this key step lets you evaluate both sides of the equation. It’s important to start your home search early enough so that you can afford be picky – and that requires a level of patience. In the competitive San Antonio real estate market, we recommend you start looking at homes at least three to four months months before you need to move, if you are planning on buying an existing home, and about 12 months out if you plan on building a home. You will be able to make the best decisions if you’re not up against a hard deadline, such as an expiring lease or the start of a new job. Giving yourself enough time also allows you to familiarize yourself with the market and recognize great value when you see it. A thorough home inspection is a must. It is typically conducted right after the seller has accepted your offer and will help you determine if you want to move forward with purchasing the home. A home may look move in ready, but the trained eye of a good licensed home inspector may unveil issues that are not noticeable to buyers. Your offer should include an option to cancel the contract if the inspector discovers something that concerns you. You may also be able to use the inspection to negotiate the price of the home or any significant repairs with the seller. In San Antonio, you are free to select any home inspection company licensed by the Texas Real Estate Commission, and your real estate agent will likely have great recommendations. We hope these tips have helped you feel more confident in your home buying journey. Our NewLeaf Homes team members are also licensed real estate agents. We would love to help you find your dream home and are happy to answer any questions that you may have on purchasing a home.